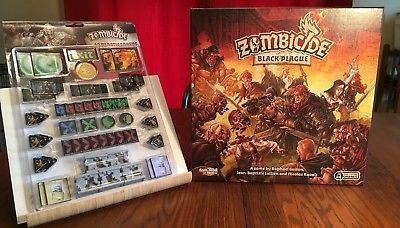 Zombicide: Black Plague – Broken Walls | Azazel's Bitz Box. Another real quick one today – it seems I forgot to post these back in April, though I did take the photo at the time. These are broken walls from the Zombicide Black Plague accessories pack (plastic tokens and whatnot). Anyway, they’re pretty simple. Too simple in fact, so I added some cat-litter-and-sand additional rubble. I left them all in grey to keep them nice and generic, and because adding weathering powders to this sort of glorified tokens would be a bit too far on the side of insane uses of my time. Here’s a photo to show the scale of these, in case I ever decide to use them in wargames, for which they’d be okay as movement-obstructing terrain or soft/light cover. Looking good! You can’t beat cat litter and sand for representing rubble! I just hope that isn’t recycled cat litter, haha! Looks great, man. If someone was super ambitious (and had a ton of time on their hands), they could probably chop up those a bit to break up any uniformity. They look pretty good for some added terrain bits though. His majesty only uses the finest recycled paper litter. This is from the plastic barrel of clay-type litter from his predecessor (that we also use for the barbeque drip tray). Great stuff. I like little bits like that for skirmish games. I’m going off cat litter for rubble myself. Prefer broken up plaster now. Yeah, I need to do the whole Hirst Arts/Woodland Scenics plaster casting thing someday. 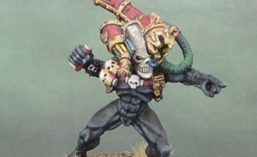 I just need some respite from GW’s relentless release schedule. Plaster cast into a thin sheet broken up is my go to for rubble. Woodland scenics rock molds are great but I’m yet to try Hirst Arts molds. Pingback: July-August 2018 YDT Painting Goal Reflections. | Azazel's Bitz Box.